Following the changes on 28th October 2013, it is a requirement for all applicants making a Settlement or Naturalisation (British Citizenship) application to pass The Life in The UK Test and pass an English Language Test in Speaking and Listening at minimum B1 CEFR or above. It clearly states that any ESOL Entry Level 3 (B1) qualifications awarded by an OFQUAL registered institution will be accepted. By clicking on the link below you will be able to read the rules. Our ESOL ENTRY LEVEL 3 Qualifications meets the requirements of UKBA for Settlement and Naturalisation Applications. 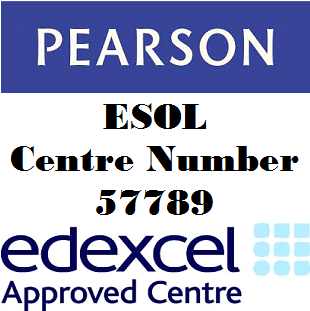 We work with EMDQ, Pearson Edexcel and English Speaking Board to conduct the above test. They are all recognised by Ofqual as an Awarding Body and have relevant approval from Ofqual to award these qualifications. Click on the link below to visit OFQUAL register. We are also accredited by ASIC and Independent School Inspectorate. They are responsible to ensure Colleges are meeting UKBA standard. Click on the appropriate logo below to visit their website.